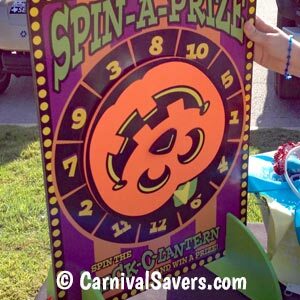 Jack O Lantern - Spin a Prize Game! 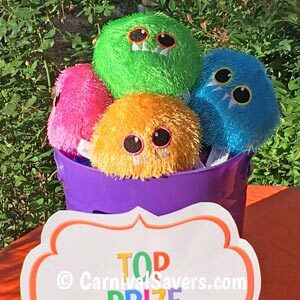 Halloween Game Idea – Spin a Prize! Numbers on Spinner Coordinate with the Board. Example of Top Prizes for Winners! Set up your tables either end to end if you have 2 tables or in a "U" shape if you have three tables and a large spinner with 12+ numbers. 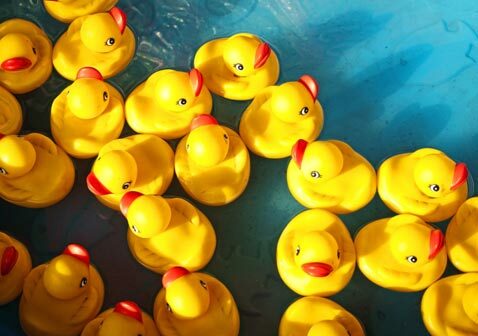 Children pay tickets (typically 2 - 4 tickets or what is equivalent to about $.50 - $1) for a chance to be the winner of an assortment of top prizes. Children choose a number from the wooden board and stand in front of the number. Carnival volunteers put a piece of candy on the number the child has chosen to show the number is taken. 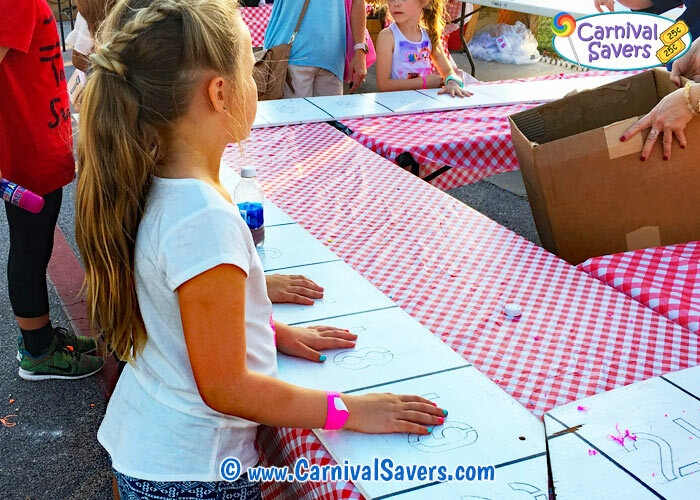 After at least 6 children have chosen a number (10 or more for a larger board with 15 spaces), the carnival volunteer spins the wheel. When the wheel comes to a complete stop, the winner is the child whose number matches the number on the wheel. All children get to keep their consolation candy and the winner gets to choose a toy from the top prizes table. This game can also be played where numbers on the wheel coordinates to a specific prize. Using a spinner with 12 numbers you may choose 6 different prizes that coordinate to the wheel numbers. Note:The spinner we sell sometimes tends to have a favorite area of the wheel in which to land. So, please test your spinner and make sure it lands on the numbers evenly if you are setting up your game with the alternate playing directions. We love this Pumpkin Spinner as it sets up in seconds and can be stored in the box for years to come! SUPPLIES & PRIZES for the SPIN A PRIZE HALLOWEEN GAME!